Korea Ginseng Corp aims to improve the lives of people around the world by offering them high quality Korean red ginseng products. 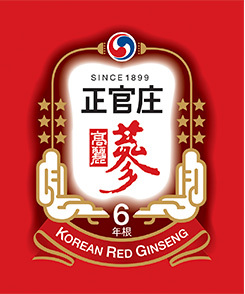 Korea Ginseng Corp is the most reliable, most trusted, and oldest red ginseng manufacturer. We have a strong worldwide presence, with our four regional headquarters located in U.S., Taiwan, Japan, and China, apart from South Korea. We have operating branches located in more than 40 countries. In 2009, we became the first product of Korea to attain the certificate of Saudi Arabian Good Manufacturing Practice (GMP), placing us as a worldwide leader in ginseng industry. Our Korean ginseng products offer several significant health benefits like increasing energy and immunity, boosting memory and brain, improving blood circulation, and promoting relaxation and balance. Our products also have remarkable benefits for senior health, children\'s health, men\'s health and women\'s health.